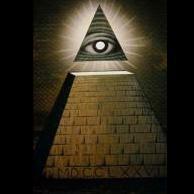 Over half the volume in a pyramid is in the bottom third of the thing. Multiple ramps on all sides gets the job half done in a couple of years. Maybe, eventually, a single ramp that forked near the top. I agree that multiple ramps are more likely, and would have been more efficient. But the steepness of the newly discovered ramp does indicate that its volume would have been considerably less than the pyramid itself, which had previously been the strongest objection to external ramps being used in the pyramid's construction. 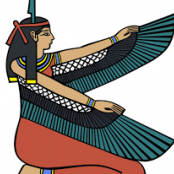 I am currently engaged in an intense bout of intellectual trench warfare with Cladking over at Hall of Maat. He claims the authors of the article are proposing that the stones were not hauled up the ramp by pulleys. Apparently no amount of hard archaeological evidence can convince someone with twelve years worth of preconceived notions about the nature of reality. Be careful he doesn’t pull you down to his level of incompetence and beat you to death with his experience. It's a very dull, blunt weapon. I expect at some point somebody's going to use the excavation report to analyze the mechanics and speculate about the rigging. Can't wait to see such goodies. Perhaps the rigging was like Franz Lohner's rope roll system. The friction and pressure on those posts must have been considerable. eta: I've not seen any speculation as to how the rigging was switched to different posts/teams as the block ascended, without it slipping backwards. Nor how the teams might have been managed to keep them from getting in each others' way. All it takes is a slight forward angle to the posts and the lateral pull capacity goes up significantly. That said I don't believe that it would be effective pulling the stones up with the post ropes. The friction on the ropes would make the pulley effect a lot less effective and cause damage to the ropes increasing the likelihood of unexpected separation. You would need to oil the ropes to make them slide which could make the ropes harder to hold on to as the oil eventually wicks through the length of the rope. They could have used talc powder left over from carving up the limestone as a lubricant instead. Its possible they could have lined the center of the ramp with it to make the sleds slide better. They would have had this in abundance, but they might not have needed or thought of it. If you notice in the above illustration the ropes from the posts go behind the block. If you apply force in that way the front of the block will dig in and be harder to move. You would pull from the front of the sled apparatus to lift the front of the block so it reduces friction and glides over the ramp surface. This is the same idea behind front wheel drive cars vrs rear wheel drive cars, or wagons pulled by animals or people. Pulling works better than pushing. Especially going uphill. Ever try rolling a wheelbarrow up an incline? I believe the posts were likely more for the braking system to maintain position than to pull up. The mechanical advantage is much like the effect of a high lift jack. There is a lift effort to move the block a certain distance using heavy force. Then there is a holding effect where the pole teams then would take up slack and hold the block while the pulling teams relax and reposition for the next pull. This would allow for smaller pulling teams which would mean more teams spread across the length of travel and more blocks in progress. There would be redundant rope teams on the posts, two or more per side to allow the last team to rotate to the front position as the block moved upward. If you only have one rope per side there would be risk of the block falling back into the one behind and causing damage or death to the next team. I got to thinking after you mentioned counterweights Wistman, that they could have used sand bags on sleds tied to the end of the ropes if the ramp sides were steep enough. Just fill them with sand and let them hang over to provide constant stabilizing force and also to automatically take up slack without using manpower. Obviously a situational use but it could be possible. In that scenario when 5 o'clock came and the whistle blew to go home the crews could just lay down their pulling yokes and go home without needing to secure the blocks further. The wall painting from Djehutihotep's tomb shows them dragging a statue with a sled and no side ropes. Of course this is showing it moving across flat ground. Going uphill you just have to keep it from sliding back down, so you stabilize with tiedowns. They seemed to love to document important things, but no pictures of this being done so in my opinion it wasn't the main movement force but a secondary system needed to combat gravity. The ramps would have gotten much longer as the layers grew higher. 20% in my opinion is rather extreme. It becomes hard to stand on a 20% incline let alone exert extreme force. Just my 2c as a part time mover of heavy things. There is zero evidence for a single ramp as they suggest for G1 or any other large pyramid . They need to tell us how deep the holes are, spacing, angle , etc.. before any claims can be made as to their function. There are many explanations for those holes. Agreed, not sure how they reached the conclusions presented re the mechanics of the site/ramp; I guess we won't know that until the final report is released. The speculations from outside parties, including the graphic depictions of how it supposedly worked, do not really convince. I don't think they declared anything about a single ramp for G1. I saw, somewhere, some figures about the depth of the holes and diameter of the posts, but I cannot find it now; it could have been specious. I agree with your point though that the holes may not have functioned in the way they are asserting. However, I wouldn't call this fake, per se. Here's the teams graphic. No detail on post depth in any article, just width. The single ramp is the what the director of the dig is pushing. The egyptologist in charge is a ME poetry expert, not a stonemason, so he hasn't a clue what he's talking about. I doubt he has ever moved any type of large stone, ever, but he's an 'expert'. Typical Egyptologist. There are few in the field that would postulate a single ramp. Multiple remains of ramps have been found around many Egyptian pyramids though, and remains of a ramp from the quarry to the Great Pyramid was found several years ago. I listed some in this old post. I am the world's leading expert on pyramid ramps, that's the truth. I split and move boulders every day. I'm not debating the use of ramps, I'm saying the people presenting this newly discovered ramp are not qualified . They made up a story for funding. The French are terrible at answering pyramid mysteries. I was responding to your post that there is zero evidence for the single-ramp hypothesis. The truth is, you'd have to search pretty hard to find many modern Egyptologists espousing that view. This makes your post a straw man argument. We are in agreement. There is zero evidence for a single ramp, egyptologists agree with this, which makes this group of French and English egyptologists ignorant and by extension makes this whole connection to G1 stupid . 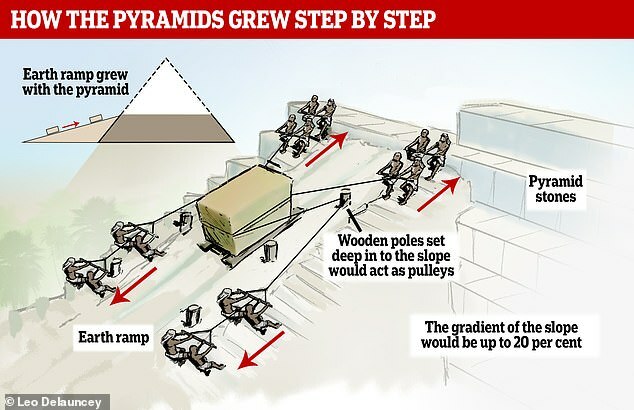 They need to give us the details of the friggin ramp and not their opinions ,which it appears are worthless when it comes to constructing pyramids. You're claiming that the leads in this dig are saying there was a single ramp. I don't see that anywhere. 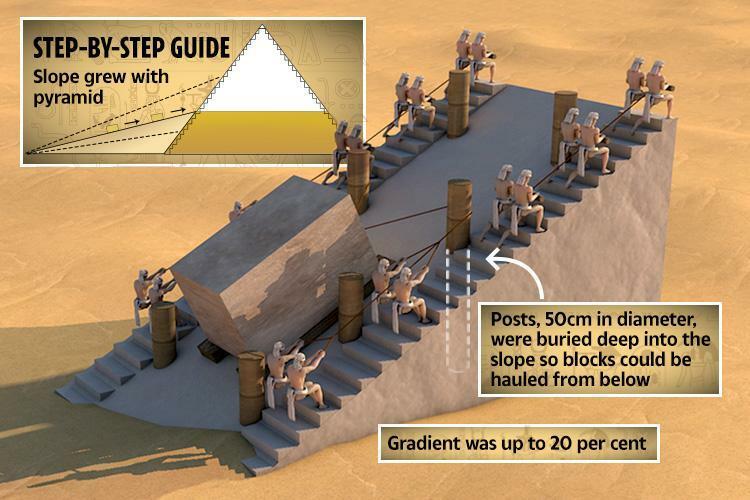 Even the graphic saying "the ramp grew with the pyramid" doesn't show it going all the way to the top (which is why the single ramp hypothesis failed in the first place,) and wasn't provided by the Egyptology team. Multiple ramps like the one found could have been utilized along the southern side of the GP. Can you show us where these French Egyptologists are proposing a single ramp? btw....I don't share your scorn for Egyptologists. I am the world's leading expert on pyramid ramps, that's the truth. Don't be shy, let's talk pyramids fellas. They don't propose a single-ramp theory, just that such a straight-on ramp can now be viewed differently, due to the increase in the slope this new find indicates. They've shown a 20% slope was used on a ramp. The old theory was based on what was thought to be a maximum of 8%. Since a 20% slope would put a single GP ramp starting at about 1900 feet in front of the pyramid's base, it's clear that the old theory should at the very least be updated to this new slope that we know they used. However, even if the lesser volume of such a ramp may make the old hypothesis possible, nobody would postulate that such a ramp was the only one used. Especially for the lower third or so of the GP. 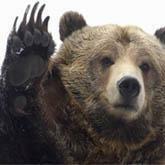 Hi M.Williams....forgive me if I'm a little perplexed by what you said. I haven't found that this graphic was provided by the excavation team (it's not where I found it for my post above), though it does seem to be based on their proposed scheme. Out of an abundance of interest, could you please verify your statement about source of the graphic with a link, as well as link to the report re the posts' diameter?..I think I read something like 18"D, but cannot now find that page. Much obliged. They propose a 20% straight ramp.That's a new proposal that ignores the EVIDENCE , which makes them ignorant of commonly known facts and not qualified to comment on it. I know what the REAL experts think about it. Do you know of any evidence for a 1900 ft long straight ramp ? He's also claiming first pulley system. Who needs proof, right ? Sorry, hard to differentiate what's from the team or from tabloid rags because the team hasn't provided an actual report yet. If I come across it I'll post it.